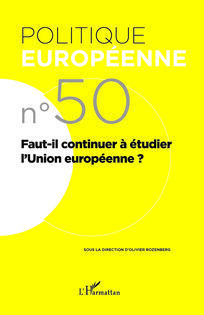 N°50, 2015/4 – Should we continue to Study the EU? Olivier Rozenberg, Should we continue to Study the EU? 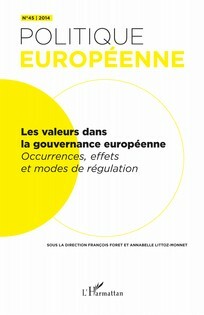 Céline Belot, Antoine Mégie, Sabine Saurugger, Why continue editing Politique européenne? Why should we continue publishing a journal dealing with European policies and politics? Why, in particular, should we do so in French? How to combine a belief in open access to research results with a sustainable economic model that allows for producing the journal? How to respond to the crucial objective of the professionalisatisation of scientific editing in an area where human resources in universities are increasingly scarce? 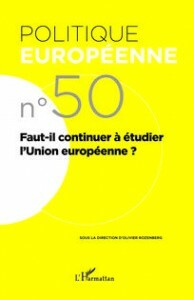 These are the questions raised in this introduction to the 50th anniversary special issue of Politique européenne, which offers the occasion for revisiting the journals history as well as its editorial practices. 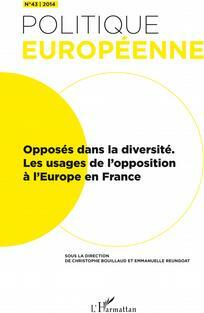 This contribution analyzes 47 special issues of Politique européenne in terms of the sub-disciplines covered. We observe the dominant position of political sociology, the significant space occupied by public policies analysis, institutional approaches and epistemology, but a limited interest for international relations, political theory and quantitative approaches. 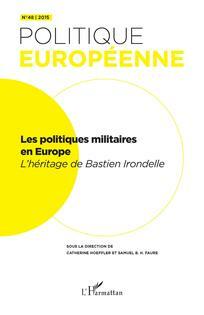 These findings are put in the context of French political science and the international community of European studies. This article examines the place of history as a discipline in the wider field of European studies in 2015. It first observes that history is largely marginalised both in public and academic debates about Europe’s current predicament, and explores the possible reasons for this state of affairs. It then brings to the fore the emergence of a rich and vivid historiography in the last decade, and argues that the latter leaves no excuse to colleagues from other disciplines for not engaging with historians’ work of immediate intellectual relevance to their field of inquiry. The article details the dominant narrative on the EMU crisis, the so-called “Berlin View”, centered around the macroeconomic Consensus that emerged in the 1990s. This Consensus rules out discretionary policy (in particular fiscal policy) as a tool for policy makers, that should let market adjustments take care of macroeconomic shocks. The Consensus not only shaped the response to the crisis, but it is also the foundation of the Maastricht institutions (ECB mandate and fiscal rule). The article contrasts this narrative with a more structural one, highlighting the non-optimality of the EMU. If this second narrative were correct, much more than austerity and fiscal consolidation were needed. Institutions mimicking the functioning of a federal state would be needed to avoid divergence and further crises. Didier Chabanet, Nelson F. Anacleto, Maxime St-Arnault, Guillaume Freire, Xavier Skoczek, From Crisis to Crisis: Requiem for Europe? If the European institutions have always been able to overcome the crisis they face, the current difficulties seem particularly serious. Since the ratification of the Maastricht Treaty, three major problems arise. On the one hand, the question of the European democratic deficit. On the other, the narrowing of the space for political choices offer to citizens, which is increasingly subject to economic constraints. Finally, the failure of the European social model. These factors largely intertwined are the breeding ground from which Euro-skepticism spread among public opinion. 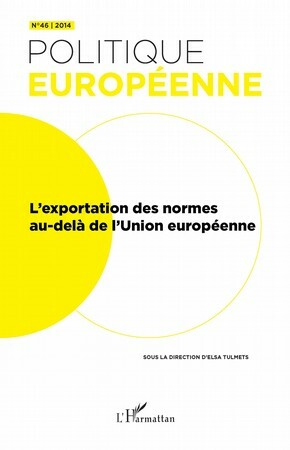 François Foret, “De-legitimizing Europe”. Does the EU do that on purpose? 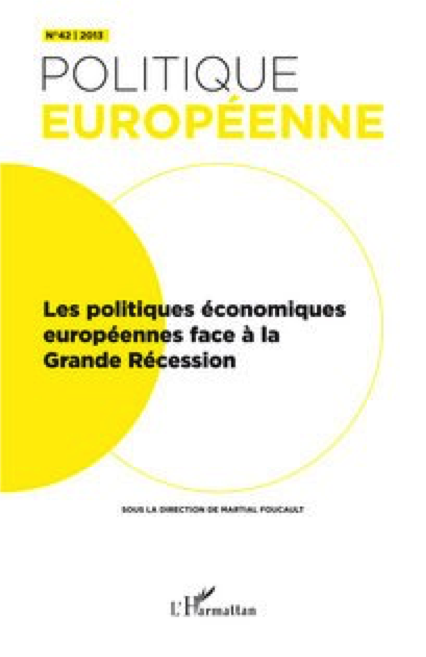 Romain Pasquier, The end of a “Europe of the Regions”? When we examine the interaction between European integration and regional mobilisation, two somewhat contradictory interpretations of the region within a multi-level playing-field become apparent: one school of thought that emphasises the shift towards the decentralisation of power brought about by integration, and another that, conversely, highlights the centripetal force of European policies. Although useful, the main limitation of these approaches is that they polarise the analysis around a zero-sum game between the European Union (EU), the regions and national governments, on the assumption that what one actor loses the others necessarily gain. However, we need to move beyond this binary debate if we are to fully grasp the proactive regional governance strategies around EU policies. Despite the many challenges and questions that European integration raises to political science, this research topic still maintains a strong reputation of boredom. The difficulty certainly relates to the « bad reputation » of the European Union itself, most often thought of as baroque and incomprehensible. 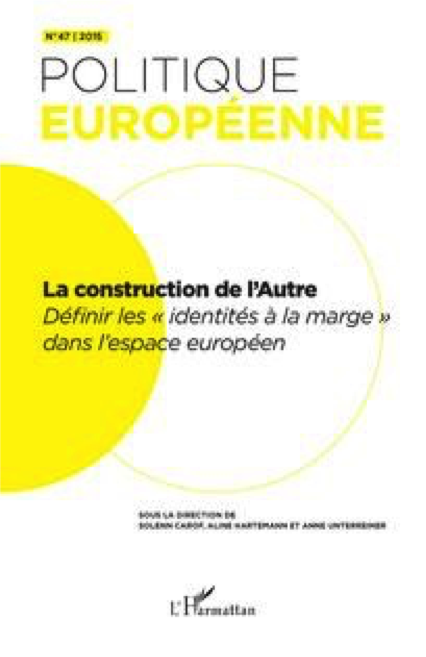 This brief article takes the opportunity of the anniversary of Politique européenne to question the part that the scholarly field of « European studies » itself may have in such reputation, delineating possible ways out through the development of « social sciences of Europe ». Jean Leca, About the Normativity within the European Studies. A Letter to the Politique européenne editorial board. 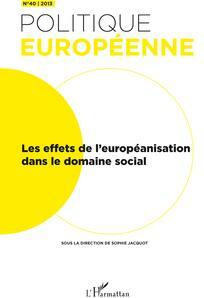 Patrick Hassenteufel, Yves Surel, Normalization or dilution of European policy analysis? Two kind of tensions lead to a kind of dilution of policy analysis in European studies: in English speaking publications between analytical perspectives highly related to European institutions and more abstract theoretical reflexions intending to normalize European policy analysis; in French speaking publications sociological analysis of European leading actors tend to neglect the way they act on policy issues. Therefore we propose to integrate, on the one side, different theoretical frames; on the other side micro, meso and macro level analysis in order to bridge the different gaps we identified. European Union studies has been in crisis in the US, as scholarly attention has shifted to other regions and US scholars have lost interest in “regional studies”. 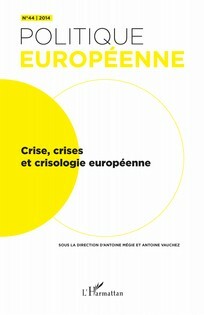 The way out of the crisis, already in progress, is through the “normalization” of EU studies, by the deepening of theoretical and empirical investigations of the EU in comparison with a widening range of regions and nation-states across issue areas, whether as a “state-like” actor, as a regulatory, judicial, or policy actor, as a political or a political economic actor. The article illustrates by briefly highlighting recent books that cross the Atlantic divide. What are the factors founding the specificity and the singularity of European Integration? To what extent does the European experience shed light on regionalization patterns observed in other parts of the world, and vice-versa? In order to be properly assessed, regionalization processes need to be contextualized. By this we mean that the spatial, temporal and cultural dimensions shaping the political interests, meanings and behavioral investments in regionalization are at the core of their understanding. The following pages develop the implications of this claim in the perspective formalized in particular by Charles Tilly and Robert Goodin. Variations in regional institutions across continents largely stems from the impact of local circumstances. What are these contextual effects and how do they operate? This what we try to clarify in the European case. Effects of location and temporality jointly combine to explain in this perspective the unicity and singularity of regional integration in Europe. According to a widespread view, the manifold crises the EU is going through have caused a structural decline of European studies. Instead, this article suggests an alternative reading of the situation, according to which the crisis represent a good opportunity to analyze under-explored facets of European integration and re-think the way it is researched. By the same token, the crisis also encourages analysts to distance themselves from their object of study.